Looking for a fun evening for your business, theatre, group, Christmas Party, Wedding, Bar mitzvah, etc? Want to hire Comedysportz? You’ve seen it at many venues up and down the country, but we can bring our tailor-made shows to YOU. 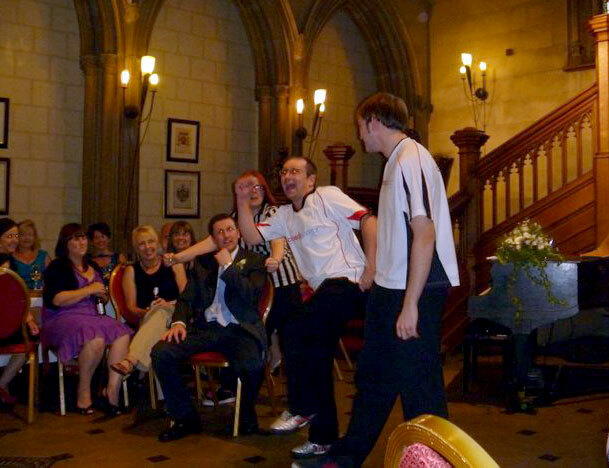 We have performed in boardrooms, grand halls, basketball courts, town halls, scout huts, at weddings and birthdays and hen parties… whatever the venue or occasion, we can fit right in. Improv not quite what you’re looking for? We also book Stand Up Evenings, starring plenty of the top UK comedy talent.